Last night I worked with a client on NOT setting New Year’s Resolutions. And I put a video up on YouTube to express my innermost feelings and Zen-opinion about the subject, which is Psycho-Cybernetically validated and true. and be sure to picture yourself subscribing to the channel, and do so – as this schitt is going to get goooooooood. 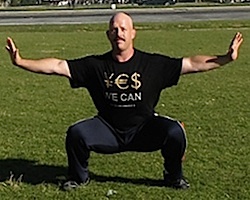 Also, members of the MattFureyInnerCircle – new videos on Hindu Pushup Progressions went up yesterday. More videos on FAT LOSS going up within a day or two. If it’s the season of giving, I guess you could say I’ve gone over the top. 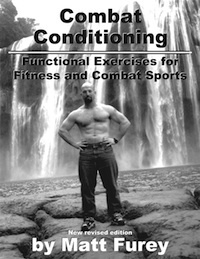 After nearly 20 years of SELLING my internationally acclaimed, Combat Conditioning, you can now download it for no charge whatsoever. Yes, I’m GIVING it AWAY. Then go to CombatConditioning.com and see for yourself.